Wouldn’t it be nice, if we were allowed to take hour long naps at work, with “nap areas” provided by our employers for those of us who need to catch up on some sleep, and reboost our energy. Normally, the phrase “in your dreams” would follow such an idea, however according to a report by the BBC, Seoul’s government in South Korea will allow workers to take an afternoon nap, in order to boost productivity from August 2014. Some South Korean workers are already being encouraged to nap at work, and a spokesman for Seoul’s city hall has stated that: “Employees can use lounges, conference rooms and other places of rest.” He also said that the city government will spend more money next year on creating more rest areas for employees. However, there is a catch! As to be expected with all too-good-to-be-true occurrences. Taking a nap between the hours 1pm – 6pm would mean that workers are obliged to either start earlier or end later. But would it be worth it? Many studies into adults and napping have found naps as short as six minutes (not including the average of five minutes it takes to get to sleep), will help to increase memory, and make people more effective at problem solving. Google are one of the highly esteemed companies to take onboard the power of naps, and have introduced nap pods where employees can sleep and are woken up through gentle vibrations and light, because they believe naps will help relieve stress and produce a more productive workforce. What are your thoughts? 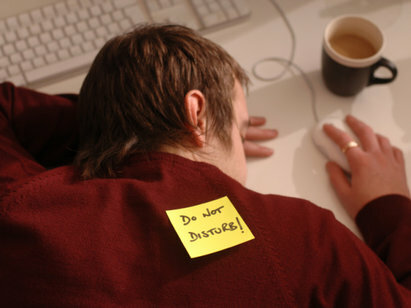 Should people be allowed to take naps at work to decrease stress, or is the longer day not worth a nap?